I mean, it must be high or low. I think a "No," I mean a "Yes,"
Strawberry Fields forever, Strawberry Fields forever. "Strawberry Fields Forever" is a song by the English rock band the Beatles. The song was written by John Lennon and attributed to the Lennon–McCartney songwriting partnership. It was inspired by Lennon's memories of playing in the garden of a Salvation Army house named "Strawberry Field" near his childhood home. "Strawberry Fields Forever" was intended for the album Sgt. 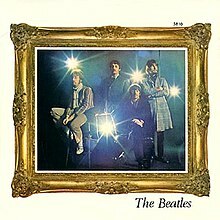 Pepper's Lonely Hearts Club Band (1967), as it was the first song recorded for it, but was instead released in February 1967 as a double A-side single with Paul McCartney's "Penny Lane". "Strawberry Fields Forever" reached number eight in the United States, with numerous critics describing it as one of the group's best recordings. It is one of the defining works of the psychedelic rock genre and has been covered by many artists. The song was later included on the US Magical Mystery Tour LP (though not on the British double EP package of the same name). The Strawberry Fields memorial in New York City's Central Park is named after the song. Awsome song. Love it so much!